David forwards a warning not to buy bike helmets over the internet, after a Kentucky man was convicted of selling counterfeit high-end helmets on eBay. I would modify that to say only buy online from a company you, with a good reputation for quality. And be careful of buying any bike parts online. Because every part than can be faked has been — including entire counterfeit bikes. But you’re always better off buying anything from your local bike shop. And so are they. I usually don’t share press releases for new products, but this one seemed interesting. Floyd’s of Leadville, the medical marijuana product maker founded by erstwhile Tour de France winner Floyd Landis, is introducing a CBD-based protein recovery powder. Available in Chocolate and Vanilla, each bag provides 10 servings, with 25mg of CBD, 27 grams of high quality protein, essential amino acids, only 5 grams of sugar and 150 calories. Each 500 gram bag retails for $39.95, and will be available to Retailers and on the Floyd’s website within the next few weeks. Go to floydsofleadville.com for more information and call 970.445.3209 with any questions! For the uninitiated — like I was before my doctors put me on the stuff — CBD is the marijuana component that has a calming and soothing effect. And won’t get you high, like THC does. Personally, I find that CBD helps stop the muscle spasms from my neuropathy, while a combination of CBD and THC is necessary for pain relief. Your experience may completely different. Great photo from Peter Flax, who dares you not to smile when you see it. And I double dog dare you. Bike friendly DTLA councilmember Jose Huizar has called for a vote this Friday to install bike lanes on Fifth and Sixth Streets in LA’s Skid Row, in response to a request from local community members. Streetsblog reports that the long-delayed My Figueroa project is finally nearing completion, with fresh green paint and newly installed bicycle traffic signals. Just like Dylan at the Newport Folk Festival, LAPD bike cops are going electric; they’ll soon be zipping down the streets on specially designed ped-assist ebikes capable of doing 28 mph. CiclaValley unleashes part one of his CicLAvia Preview for Sunday’s San Fernando Valley open streets event. The newly revived Long Beach Post talks with a Georgia transplant who found a home with the city’s cycling community. Life is cheap in San Luis Obispo, where a distracted driver walks without a single day of jail time for killing a world champion triathlete when she “drifted” off the road and rear-ended the victim’s bike. Inhabit considers how to make American cities bike friendly. Now you can show your support for the man who believes slavery was a choice, with your own specially customized and basically useless Yeezy bicycling shoes with built-in mountain bike cleats. Seriously? Bicycling reviews the best yoga mats for bicyclists. Which would pretty much be the same as for anyone else, since hardly anyone practices yoga while they’re riding. The first six months of Seattle’s dockless bikeshare experiment show diverse ridership using the bikes primarily for transportation, rather than recreation. And head injuries haven’t increased, despite a low rate of helmet use in violation of the city’s mandatory helmet law. Texas bicyclists are calling for safer roads in the oil boomtowns of the Permian Basin. A Chicago weekly maps out the city’s lowest-stress bicycling routes. Now that’s more like it. Buses and bikes get priority on a Minneapolis street as lanes are closed for highway construction, and drivers wait in backed-up traffic. No, Minnesota Department of Public Safety, if the victims were riding bicycles, they weren’t pedestrians. A Detroit writer does a great job of slicing, dicing and refuting the recent anti-bike “get off my lawn” screed from Crain’s scion Keith Crain, arguing that he’s writing for a dwindling audience of angry old businessmen. And that he wasn’t out of town when the city’s bike plan was adopted, just out of touch. Apparently, when a man whose head is literally covered in racist tattoos crashes into an Asian bike deliveryman in New York, it’s just another accident. A Costa Rican website looks at the time-honored tradition of bicycling in the country’s Guanacaste province. Red Bull lists eight international cities that are “incredible” for active commuting. San Francisco made the list; needless to say, Los Angeles didn’t. Canadian Cycling Magazine explains why bicycling leads to lifelong friendships. Cycling Weekly explains how you, too, can have monster legs. Road.cc offers advice on how to safely pass a horse, after a group of overly aggressive triathletes didn’t over the weekend. Montreal motorists are rising up to complain about the mayor’s decision to block cut-through traffic over the city’s eponymous mountain to create a more livable, human park space. A Toronto columnist says Vision Zero isn’t working, so it needs a little rebranding — like calling it Zero Vision, or a Vision 2089 commitment to have just 2,089 traffic deaths in the city in 2089. Another Toronto columnist says the city’s streets will be safer once they are slower. Any chance we could get him to move to LA and write that for the Times? We already know Katy Perry is one of us, so keep your eyes open for a woman on a bike shooting lasers out of her bra as she stops in the UK. A pair of British cycling champs — and new mothers — offer advice on bicycling during pregnancy. A British coroner has ruled that record-setting endurance cyclist Lee Fancourt took his own life after texting a friend to say goodbye. Fancourt, who set the record for the fastest crossing of Europe, was found in his own car surrounded by cocaine and drug paraphernalia this past January. A Portuguese soccer fan biked nearly 3,200 miles in 45 days to see his team play at the World Cup. The founder of an Indian bikeshare company explains how dockless bikeshare is reshaping the country’s urban areas. A Chinese website says Shanghai can do a lot more to be bicycle friendly; the city will host the second annual Tour de France Shanghai this fall. Yes, you really can buy a hi-tech ebike for around $261; you just have to move to China first. Outside says a new novel captures truths about the Tour de France, doping, and cyclists’ obsessive nature. Riding 135 mph on a 3D printed bike. No need to stop pedaling just because you run out of solid ground. And that feeling when you want to ban bikes entirely, and blame commies on the city council for bouncing you from the bike lane committee. My apologies for the late post; blame a late night Internet outage that kept me offline until this morning. A couple of interesting tidbits from yesterday’s LAPD bike liaison meeting. 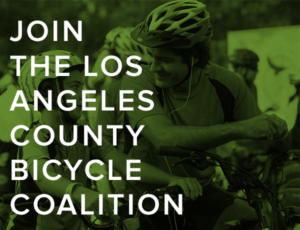 While traffic collisions are up overall in the San Fernando Valley compared to last year, there’s been a 23% decrease in bicycling collisions. And a 37% drop in collisions resulting in serious injuries to bike riders. Meanwhile, the proliferation of bike lanes in Downtown LA has resulted in an overall slowing of traffic speeds, as well as improved compliance with traffic laws by bike riders. Demonstrating once again that if you want bicyclists to obey the law, just give them a safe place to ride. 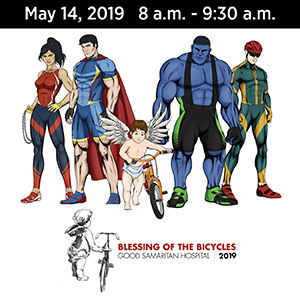 Speaking of the department’s bike liaison program, you can find email addresses for each of the bike liaisons for the city’s four traffic divisions listed on the Resources page. These officers are here to help if you have any problems resolving bicycling issues involving the police. So feel free to reach out to them when you need help, whether it’s dealing with harassment or dangerous traffic conditions on your ride, unfair treatment by police, or officers refusing to accept a report or complaint. No, seriously. That’s what they’re here for. Disgraced ex-Tour de France champ Floyd Landis used to insist his Mennonite upbringing meant he wouldn’t have doped. Now he’s in the dope business. Landis, who won the 2006 Tour on an artificial hip, has teamed with former teammate Dave Zabriskie to create a new line of marijuana-laced lotions called Floyd’s of Leadville to treat pain and inflammation. So far, it’s only available in Colorado, where virtually all things marijuana are legal. But we may eventually see it here under California’s medical marijuana laws. An Italian judge concludes that cycling great Marco Pantani really did die of a cocaine overdose and wasn’t murdered by the mob. An Aussie pro cyclist says living the lifestyle isn’t all it’s cracked up to be, explaining why she’s stepping away, if not retiring, at the ripe old age of 20. All those crashes in the Amgen Tour of California are finally explained; the riders were running on Microsoft. If you want your kid to perform well in school, buy ‘em a bicycle. LADOT GM Seleta Reynolds testifies before the US Senate on the Internet of Things. CiclaValley feels the sting of bicycling in bee season. Monrovia is expected to adopt a new bike plan next month, including seven miles of protected bike lanes. Just one day after a bike rider was shot and killed in Compton, another bike rider shot three men in a car, killing one. Forty cyclists ride to protest a lack of infrastructure and police action to protect bike riders in Palos Verdes Estates by scrupulously obeying the letter of the law; one driver who clearly didn’t get it swore at riders because he had to go around them. Which is kind of the point. Someone on a bicycle attacked two homeless people in San Diego using a rock and a golf club. After partying all night, an Oceanside driver crashed into a pedestrian and kept going for nearly a mile — with his body still embedded in her windshield. Solvang puts a planned bike and pedestrian bridge on hold after Caltrans finds deficiencies in a nearby vehicle bridge, which could require replacement while costing the city $600,000 in funds allocated for the bike/ped project. A Visalia woman was critically injured when her bike was rear-ended by a car. San Francisco cyclists pen a letter to the mayor asking for safer streets. A Sacramento salmon cyclist is lucky to walk away from a crash with a light rail train. The Atlantic says America’s automotive hegemony is insane. An East Coast group is working on completing a continuous bikeway stretching from Florida to Maine. We can’t even get a continuous bikeway across Los Angeles. An anonymous bicycling superhero rides to the rescue of a paint-covered kitten someone abandoned in an Albuquerque dumpster. Which is exactly what should happen to the person who put it there. Without the rescue part. A Michigan paper asks if the Kalamazoo bike crash reflects a statewide trend, where bike-involved collisions were up 57% last year. A Boston drunk driver gets eight to twelve years behind bars for the collateral damage death of a teenage bike rider, after he crashed into a car stopped at a red light and knocked it into the waiting cyclist. Although someone should tell Patch that when a person drives drunk, whatever happens as a result is not an accident. No bias here. An upstate New York paper blames a cyclist for crashing into the side of a car, which apparently wasn’t moving and didn’t have a driver. Famed bike-riding New York fashion photographer Bill Cunningham passed away at age 87 after suffering a stroke; a petition calls for naming a Gotham street corner after him, while the Financial Times says he should be admired for his principles. A New York judge rules it violates a driver’s constitutional rights to require them not to crash into people. A writer for the Washington Post offers tips on traveling in a car with a bike on the back. Hammering out the Democratic Party platform be a messy process, but at least they reached unanimous agreement on the need for more bike paths. Battling petitions circulate in Lafayette LA, calling for the removal, or not, of a bike lane that’s part of a citywide loop. Who says Rapha doesn’t support women cyclists? Cycling Magazine lists bicycling’s 14 most influential Canadians. Police in Ottawa, Canada are using a sonar device to help catch drivers who pass too close to cyclists. A crazed Brit cyclist who was deliberately holding up traffic reached in and stole the car keys from a BBC presenter who was acting in an entirely reasonable manner. Or at least, that’s his version of the story; something tells me the rider in question might see it a little differently. Rome plans to create a 27-mile inner city bicycling route linking the city’s tourist attractions. Unlike LA, where there’s no viable way for most tourists to visit the city’s many attractions by bike. Apparently, Pakistani bike riders need a helmet with front and rear cams, blind spot detection, brake lights, turns signals, Bluetooth and WiFi, and built-in GPS. But no word on whether it will actually protect your head if you fall off your bike. An Aussie driver’s grandmother says he just made a mistake and he’s terribly sorry for fleeing the scene after killing a bike rider. Which makes it all okay, of course. It takes a real loser to slap a six-year old in the face in a dispute over a bicycle. Sometimes it’s nice just to ride your bike and fiddle around. And congratulations, you are now superfluous. There was a time in my life, not so long ago — okay, maybe longer than I care to admit — when cycling was my life. It was right after my starving writer phase, which, as it turns out, isn’t nearly as romantic as it sounds when you’re the one starving. And since no one wanted to read my writing – or more precisely, no one wanted to pay me so other people could read my writing (whoa, déjà vu!) – I shifted my focus to something that paid every bit as well. So for the next 6 months or so, I rode my bike. I built my own wheels. Stripped my bike down to the bearings and rebuilt it from the ground up to make sure every part was lubed, tightened and adjusted to perfection. I stretched. I read about cycling. I dreamed about cycling. And I rode. At least 50 miles a day, every day. Other than the occasional attentions of a cute little pastry chef, that was my life, from the time I got up until I slid my aching thighs back into bed. And I would have snorted peanut butter, black tar heroin or thermonuclear waste if I thought it would make me a better rider. I’ve been thinking about that lately, after our local Bike Snob pointed out yet another cyclist caught doping, on a team dedicated to riders with questionable reps.
I’ve written before about my disappointment when Floyd Landis lost his appeal, even though my initial reaction, as I watched him race, was that he had to be on something to rebound the way he did after bonking so badly the day before. It also broke my heart when fellow Colorado boy Tyler Hamilton was busted. And I’ve long wanted to believe that Lance Armstrong is merely super-human, despite the insistence of the French, as well as Greg LeMond’s apparent insistence that he was the only clean Tour de France winner since Maurice Garin crossed the finish line in 1903. Then again, who’s to say that the great racers of the pre-testing era, like Bernard Hinault or the legendary Eddy Merckx, weren’t on something themselves? There’s no reason to believe they were, of course, just as there’s no proof they weren’t, other than the fact that they dominated their eras every bit as much as Armstrong did his. But they weren’t tested, so we’ll never know for sure. And even getting repeatedly tested over a seven year period doesn’t seem to convince some people. But then, that’s what we do. We take things. Because if there’s something we think will make us ride a little better, a little farther, a little faster, we’ll try it. Whether it’s Lance Armstrong’s energy drink or a shot of gel for that extra boost in the middle of a ride. Don’t believe me? Just check out the checkout counter of your nearest bike shop, and count the number or gels, bars, shots and other assorted sugar-based supplements. Or pick up a copy of any cycling magazine and see if the supplement ads outnumber the bike ads this month. It just seems to me that there’s not a lot of difference between the creatine & amino shakes I downed back then, and doping with EPO or testosterone. One is legal, while the others aren’t. But they all build strength and boost performance. Timur explores downtown, while a group of riders take a slightly longer tour around the city. Will manages to get back home from Newport Beach car free, despite a series of rail-based misadventures. 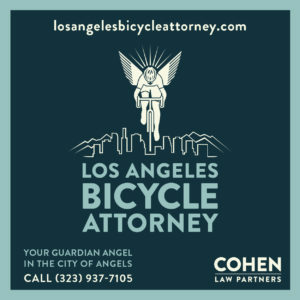 And this just in, Damien and Gary announces that the Cyclist’s Bill of Rights has been passed by the L.A. City Council, not that it will mean anything if our local bureaucrats don’t pay any attention to the city leaders. Still, we all owe a big round of thanks to the Bike Writers Collective, who not only kicked it all off, but pushed it over the goal line. Thank you, guys. We owe you. 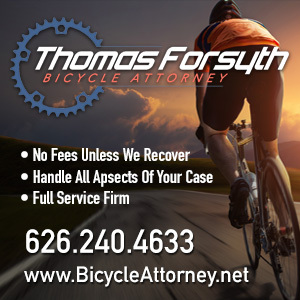 Today’s word that Floyd Landis lost his appeal before the Court of Arbitration for Sports just 6 days before the start of this year’s Tour comes as a disappointment. While Floyd’s side made a good case for incompetence at the French lab that found the positive test results, the odds were always against him. In today’s world, anyone accused of doping is guilty until proven innocent. And positive findings are seldom, if ever, overturned — especially not in high profile cases like this. The simple fact is, they were never going to rule against their own testing procedures, and throw the entire process in doubt. Not gonna happen, no matter how good a case he built. And let’s be honest. While I was impressed with the irregularities his lawyers’ demonstrated, as well as the scientific evidence resulted from his wiki approach to researching testosterone doping, I keep coming back to one thing. I was watching that day when he made his big comeback in stage 17 to win the tour. And I’d watched the previous stage, when he suffered such a total physical collapse that he seemed to have lost any hope of finishing the tour — let alone winning. I remember thinking as I watched Floyd demolish the rest of the field that he had to be on something, because no one comes back that strong after bonking that badly. So I might be disappointed. I might be heartbroken. But I’m not the least bit surprised.